I know, I know, it’s a terrible pun! 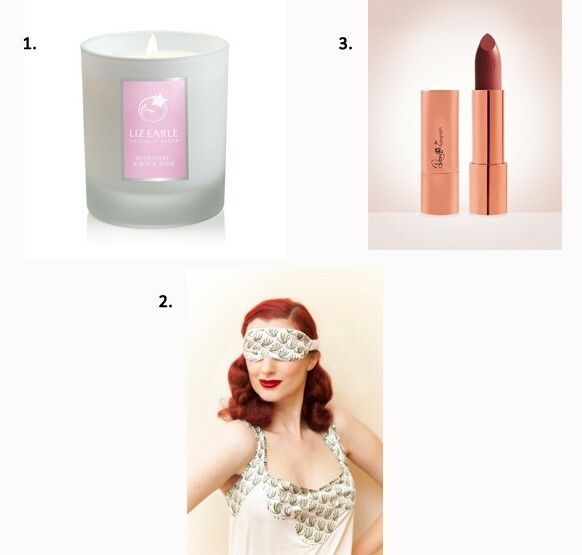 But we do truly have some eggcellent Easter Egg suggestions for you all to celebrate this weekend. Even if you are not religious, we always think it’s nice to celebrate the coming of Spring and all the new life in nature. Here is what we think is cracking this Easter. 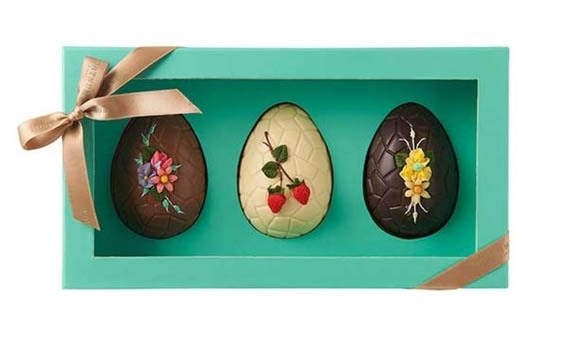 These beautifully iced trio of chocolate eggs from Fortnum and Mason are absolutely stunning. 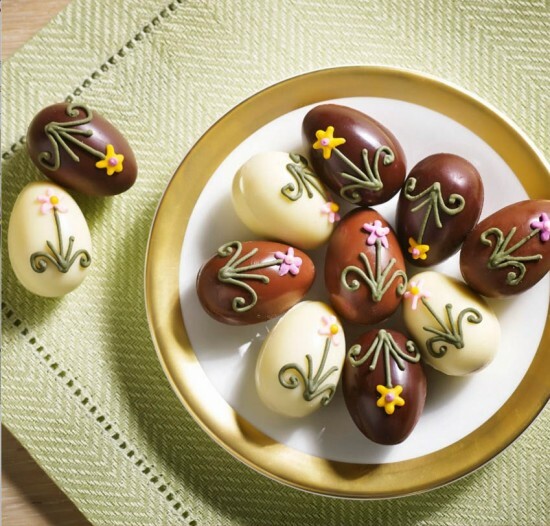 With one milk, one white and one dark chocolate egg there is something for everyone’s taste. At £45 we think they would make a beautiful center piece for your Easter lunch table; a real talking point! With a name like ours, how could we not include this delightful offering from ‘Bettys’. For £11.50 you get 9 wonderful champagne and chocolate truffles. It seems that decorated eggs are a big trend this year, as these two are beautifully decorated with icing. Such a cute way to ring in the new Spring season. At that price we can’t see these hanging around for long, so make sure you order them soon! A personal favourite of Betty’s, we couldn’t exclude this yummy offering from Charbonnel et Walker, because what is a holiday without a little champagne! 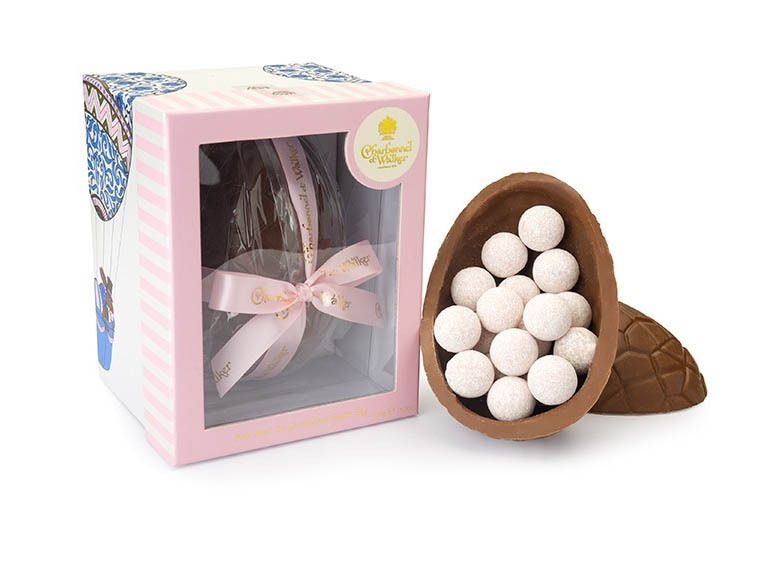 What could be more delicious than a milk chocolate egg with lots of Pink Marc De Champagne truffles inside. This comes in two different sizes, £26 for 225g or £45 for 4450g.